Once again, I'm still here. Just in case you were worried. Life has gone and taken a complete 180% turnaround, though, and that's good. That's very good. I've moved again recently and am still getting settled. I'm pretty sure that will take the next year or so, but the kitchen (the most important room in the house) is almost finished and getting quite the workout already. I made these savory breakfast rolls today and the kids devoured them almost before I could grab a couple good ones for photos. Luckily for you, I was quick enough. The recipe is sort of whatever you'd like as a filling, but I'll tell you what I did and you can change it up to your heart's desire. I made one batch with sausage and bacon and the other with sausage, bacon and peppers. Heat oven to 375 degrees F Roll biscuit dough to a 12 x 8 rectangle. Spread with butter followed by 3/4 cup Alfredo sauce. Sprinkle evenly with sausage, bacon and cheese. Roll up from short end and cut evenly into 8 slices. Place into a round baking pan that has been lined with parchment or otherwise greased. Cool for 5 minutes and top each roll with remaining Alfredo sauce. *If using peppers or peppers and onions, dice small and cook first until soft. Use approximately 1/2 cup.Add with meats and cheese. It took years for me to finally get a chive plant to bear blossoms. I'm not sure why I had such a difficult time, but my best guess (along with a bit of investigation) is that chives don't bloom until their second year. At least mine didn't. I had planted year after year in various locations and many times didn't even get basic chives. I was told often that they grew "anywhere, like weeds", without having proof of that at all. Last year I grew chives in a container, but only the chives themselves grew. I put them to bed with the rest of the garden in the fall and this spring, sure enough, they grew with blossoms attached. Finally! My reasoning for attempting to grow them all these years was solely for the blossoms to make chive blossom vinegar with. I was a happy camper this year. So, here is a photo or two of the blossoms, the vinegar making, and a final usage in chive blossom mayo. Click on the photos to view them larger. 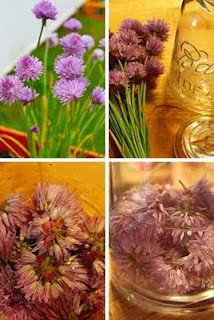 The method is as simple as it looks: Harvest the chives with blossoms intact. Rinse well and trim blossoms from stems. Set chives aside for another use. 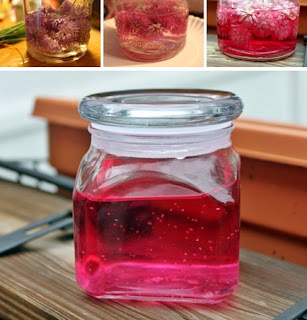 Toss blossoms into a glass jar with a non-metal lid. Add vinegar to cover, lid tightly and set in a cool, dark place for 2 weeks. Strain blossoms and keep vinegar in the dark to prevent the color from fading. Vinegar on the first day, one day later and two weeks later. The strained and finished product on the bottom. Homemade mayo is far easier than you think. I always make mine by hand, but feel free to search the web for blender and processor recipes - there a re quite a few out there. Here is 1 egg yolk, 1 Tablespoon of chive blossom vinegar, a pinch of white pepper and salt to taste. Blend well and pour 1 cup of oil into the egg mixture in a VERY thin and slow stream while whisking continuously until mayonnaise forms. Taste for seasoning and add more salt if necessary. Keep covered tightly in the refrigerator and use within 1 week. Everything from the grill: flank steak with crema (Mexican sour cream, because sometimes the usual just doesn't cut it), cliantro and lime. Corn in the husk, zucchini, green onions and shrimp. Dessert? Double-berry milkshakes. I haven't been absent from here on purpose, and it hasn't been for anything bad, just busyness on my part. Back in March I started another job working nights. That's all well and good, and the original purpose was to work at night so I would still have my days open for children and food blogging. My life seems to be so very different from others in many respects, but usually it's the glitch-factor with me. The Murphy's Law sort of bent that's usually only reserved for cursed Irishmen. I don't only work 40 hours a week, my weeks are more often than not 63 to 75 hours in length. That's a whole lot of time NOT for myself. Getting home in the morning is odd, sometimes several of the kids are awake and or gone from the house to school already and I miss the standard goodbyes before their school day more than I thought I would. Everyone is home from school now, though and it's a bit easier to come back to the house and find them sleeping instead of gone. I actually like my job quite a bit. It's not without moments that make a person want to run the other way (I work at a group home for two mentally and physically disabled women), but there are rewards you don't get elsewhere. It's a bit like mothering, in that respect, much of the reward is not monetary or tangible, but things like silent hugs or silly sideways smiles go pretty far for me. I do cook, of course; all seven kids are still roosting at the nest and need to be fed the same several times a day as always, but I find now that the time it takes to set up a photo or write a paragraph or two are lost in the sheer run-around that is my day. I miss doing what I love - cooking and photographing and especially writing. I can write a full first chapter of a book in my head at night when I'm just about to drift off. I just can't seem to find the time to get it to paper or computer screen. So, without a recipe attached or a lengthy and menu-worthy description, I thought I'd share tonight's dinner; as-is without any fluff. See? I'm still cooking - they're still eating. This past Sunday I was able to host an Eggland's Best Brunch at my house. We had a packed house and an equally packed table featuring recipes from both Eggland's Best and Fabio Viviani's ebook, "Did I Really Make Breakfast?" And just in case you didn't know, it's safe and healthy to eat up to 6 eggs a week! Not only are there more nutritional benefits to EB eggs, but they also use a special patented hen feed, a more strict quality assurance program than any other, and EB eggs are fresher than other eggs, being shipped to the store no later than 48 hours after laying. The flavor is also better than ordinary eggs and it's actually quite noticeable even in recipes where the eggs are combined with several other ingredients. I chose to use 3 of my own recipes, 3 from Eggland's Best and 3 from Fabio Viviani. Every single recipe was a hit with every age range at the brunch. Of course, the kids loved the Deviled Eggs and Breakfast Pizza with Hash Browns and Sausage from Eggland's more than any others, but the adults hit up Fabio's Eggs Baked in Cheese Fondue until there was nothing left. I changed up the recipe in the tiniest way, I served the eggs and cheese sauce over steamed asparagus rather than toasted bread and nobody could get enough. Of course, Fabio's Cheese Bomb Biscuits and my Vidalia Onion Pie were also devoured completely (the biscuits were the first thing gone!) and the remainder of recipes including EB's Mexican Fiesta Breakfast Bake, my own Angel Food Cake with blueberries and peaches in cream, Mini Quiches and JoAn Henry's Strawberry Muffins were as well liked as any. Overall, everyone went away fully FULL and happy and several guests left with EB shopping bags, aprons, egg plushies, egg turners and coupons for a FREE dozen of Eggland's Best eggs! Check out this short video of the food and one of the happy little guys. Full Disclosure: Eggland's Best provided me with VIP coupons for free product, a $100 gift card to use for supplies, a flip video camera, information, recipe cards and prize packs to give away to guests. There's nothing like a versatile recipe to make my day. Add to that affordable and quick and you have a real winner for me. With so many picky eaters in this household, it's difficult to make something that everyone will like. This sandwich can be made with any meat or cheese and come out just as good so experiment a little like we do. Switch out the ham for turkey or the provolone for Swiss or cheddar. There really is no end to the combinations with this recipe. The original recipe (this is actually quite old) most often calls for a sweeter roll like Hawaiian, but the miniature Portuguese rolls I used were perfect as well. I still think the glaze could be a little sweeter, but everyone else here was fine with them as-is. 1. Melt butter and stir in honey mustard and Worcestershire sauce. 2. Brush the bottom of a 9x13 baking pan with glaze. 3. Split rolls in half horizontally and layer the bottom of the pan with the bottom halves of rolls. 4. Brush the cut sides of the rolls with glaze and layer ham and cheese on each roll. 5. Place top halves of rolls on the sandwiches and brush with remaining glaze. 6. Bake in a 350 degree oven for 25 minutes or until golden brown. Just about a year ago I began buying raw milk. Not for daily or even weekly consumption, but for a once-in-awhile thing. I'm not completely sure what my motivation was beyond the fact that it's a bit controversial and from much that I've read, if conditions are right, it isn't all together unsafe. In fact, for many people with lactose intolerance, raw milk can be a Godsend. Nobody here has lactose issues, and for the most part I'm fully happy with the pasteurized 2% that I buy for daily use, but the crunchy/hippie/farmer type in me had to go out and give it a try. I wrote about the first couple excursions at Blog Catalog, so I won't repeat myself, but I will add that the scene changes ever so slightly each time I visit the farm. Sometimes it's laundry day, sometimes there's nothing going on; this time it was ... meat grinding day? Saturday was rather gray and blah, and the farm looking austere from the lack of foliage on the trees only added to it. Once I walked into the garage however, the air took on an almost sinister feel when I caught sight of a young Mennonite man pushing meat into a grinder. Add to it the fact that he had a strange grin on his face and the whole scene became a bit "Children of the Corn". I'm hopeful the meat was for personal consumption and not for sale, because thinking of eating anything from that farm other than milk, eggs or honey safely ensconced in plastic jugs, cardboard egg containers and glass jars makes me feel a little queasy. No matter, I grabbed what I'd come for and left without looking back (except to look at the chickens, can't help myself). Then came the question of what I'd be making with these 'less-than-usual' ingredients I'd traveled nearly 30 miles for. No idea, as usual, it's just something I like to do and I usually figure it all out later. This time it turned out to be rice pudding. I have several kids who can never get enough of this, and my step-father always gets a container, but it takes a few hours to make, so I don't tackle it too often. Raw milk is perfect for this. The original recipe uses 8 cups (half a gallon) of milk to a single cup of rice, so the result is ultra rich and creamy and raw milk, with its full-fat content from the layer of cream atop can only add to it. I don't care how bad it is, it's not something we have frequently, so we'll counter it with steam for dinner a couple nights this week. It may seem a waste to cook with raw milk, but there's more to using raw milk than the mere fact that it hasn't been pasteurized or homogenized, just like there's a point to buying milk directly from a farm that produces it: flavor. I could well purchase whole milk for this right at the local grocery, but there is no denying that the flavor of fresh milk, raw or otherwise, is far superior to that found in the standard dairy case. Besides, only half is used to make this recipe, the rest is consumed straight-up or in cereal where everyone gets the most benefit from it. If you have the time to do this (a lazy Sunday would be good) give it a try. It takes frequent checking and stirring, but the end result is so worth it, you'll be glad you took the time to make it. This was also posted at Family.com a couple years ago. Cook the rice in the water following package directions -- this usually means adding the rice to the water, bringing to a brief boil, reducing heat and simmering, covered tighly for 20 minutes until the rice absorbs all the water and is tender. In a large pot combine the cooked rice, milk and scraped vanilla bean if you're using it. Cook over a very low flame, stirring from time to time (every 10 minutes is good), until all the milk has cooked into the rice. This can take an hour to an hour and a half. You'll also have to skim the top 'skin' that forms each time you stir. Once the milk is absorbed, remove from the heat, remove the vanilla bean if used and quickly add the beaten egg, stirring constantly so the egg thickens the pudding but does not cook. Stir in the sugar and vanilla seeds or extract until well combined. Pour into a large flat pan like a 9x13 baking pan. Cool in the refrigerator, covered, for several hours before serving. New York, NY, March 1, 2011 — Prevention.com put packaged foods to the test once again this year, revealing 21 winners of the website’s “Best Packaged Food Awards.” Winners were divided into categories, including best cereal, best pasta sauce, best yogurt, best soup, and best ice cream. To determine the winners, Prevention.com asked registered dietitians and food bloggers to recommend their favorite new and healthy packaged foods. Each product was tested and tasted by our editors and then narrowed down to the final list of the top 21 choices. This canned fish is sustainably caught using environmentalist-approved fishing methods. It's far lower in mercury and much higher in omega-3s than other canned tuna. This list of winners is a featured part of Prevention.com’s new Healthy Eating Center, which also boasts the new Prevention.com recipe finder – an online tool that allows visitors to explore editor and reader favorites and search by categories from meatless main dishes to make-ahead meals. Prevention is the nation's leading healthy lifestyle brand, with a U.S. magazine audience of 10.2 million readers, 3.5 million readers internationally of 16 international editions, and a top digital destination http://www.prevention.com that has 2.6 million unique visitors each month, 22 million page views, and 1.3 million newsletter subscribers. Each year, nearly 50 million Prevention products are sold, including books, special-interest magazines and bookazines, and DVDs. Prevention's Twitter handle is @PreventionMag and Prevention can be found on Facebook at http://www.facebook.com/preventionmagazine. Prevention magazine and its apps are available on the iPhone and iPad. Are you like me, a busy mom, who wants healthy food for their family? Prevention Magazine has chosen their Best Packaged Food Awards 2011. I am partnering with them to host a LIVE Q&A about how to eat healthy, and live well. Join us March 1st, 12:30 pm ET. Bring your friends & your questions! In our house Father Dominic has become known as "The pizza making monk", my fault of course, but everyone now knows exactly who I'm talking about when I bring him up. There is so much more to Father Dominic than pizza, and that is evidenced by his first six books and public television show Breaking Bread with Father Dominic which ran for several years beginning in 1999. He's not only the chief pizza maker at the monastery and baker extraordinaire, he teaches religion and directs the plays at the academy and has also authored two plays. Very busy, very talented, very blessed. 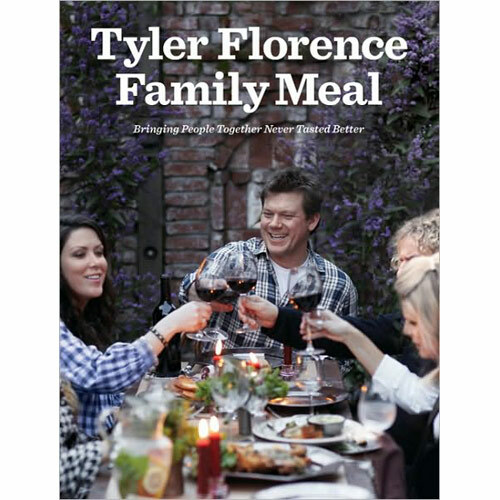 His most recent book, however, is all about America's favorite food; pizza. The first question that came to mind when I saw the title of the book was, "Why Thursday night?" In our house, like so many others across the country, Friday night is the usual pizza night. The explanation is a rather easy one. Friday is a day of fasting and abstinence from meat when the monks at Saint Bede consume only one meal. While pizza can fit the meatless menu, it isn't very fun without the plethora of toppings available, so on Thursday night, or haustus night, they indulge a bit more knowing that the fast is coming the next day. It's also a community night when the monks get together to fellowship through conversations or games, whatever strikes their fancy that evening. I read through this book rather quickly, it's a very easy read and I found myself drawn to the stories of Father Dominic's monastic life. The recipes are straightforward, but don't expect to see the usual pizza recipes here. 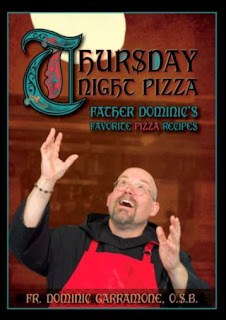 Father Dominic feels very much the way I do about pizza, after the crust anything goes! He provides not just recipes for dough, but full explanations of the differences between them and exactly how they are to be prepared without being boring or tedious. 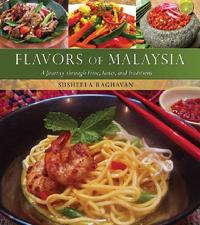 Likewise, there is a chapter all about sauces before moving on to the pizzas themselves. In the monastery there is large garden tended by one of his fellow monks, Father Ron. The garden provides pizza topping inspiration and the pizza sauce is made from the heirloom tomatoes grown within. Now I'm looking forward to my own garden this year and can't wait to harvest and bake. I took the opportunity to speak with Father Dominic about his newest book and would love to some day have to chance to meet and cook with him. I believe his closing sentiments to our conversation were the same. He was very fun to talk with and I really wish we both had more time to spend on the phone, I have a feeling we'd have talked for an hour or more easily. We talked a bit about his family and growing up baking, about drama and the fact that I have children who have been in theater and plays for quite some time. We even have similar loves for antique recipes and books. Of the twenty pizza recipes offered (two are desserts!) I asked which was his very favorite. He did one better and gave me not just his favorite from the book, but his favorite all-time. His favorite from the book is the Four Cheese Tomato pizza and his favorite all-time is one from a pizza parlor in St. Louis named Thats'a Nice'a Pizza where they serve up a pizza called The Powerhouse which consists of a thin crust topped with sausage, pepperoni, extra cheese, hamburger, onion, jalapeno and chopped tomato. Wow! Father Dominic makes this pizza at the monastery as well with a few slight additions and variations. Either way, it's one I want to try for myself. I have plans to make each and every pizza in this book, but for this post I made the Asparagus Mornay (see photos) and fell in love immediately. The flavors were so perfectly paired it was hard not to think that a gourmet chef had come up with the combination. I had three slices and don't feel guilty at all. If the rest of the pizzas in this book are as good as that one, we're in for some very delicious pizza nights at our house. 2) so few people are even exposed to caviar, therefore, they don’t try it due to Fear of The Unknown. It is my hope that I can dispel these two myths while also giving you info on caviar no one will tell you, mainly, that it’s delicious, affordable and versatile. What follows is a list of my Top 5 Reasons to Love Caviar! Traditionally, caviar has been served with hors d’ oeuvres or as a garnish in continental cuisine. From early on the caviar market has been dominated by Russian or Iranian black caviar from the black sea basin. Did you know, however, that caviar is also widely produced and eaten in countries ranging from Greece and Italy to Sweden and Japan? In Greece, for instance, caviar is made from carp roe and made into a paste that is typically eaten with bread, called Tarama. In Japan salmon roe is used in many types of sushi preparation. And, in Italy, caviar is even used in a dish called Bottarga. Some people, I’ve found, try one type of caviar one time and decide they hate all caviar. This need not be so because there are many types of caviar made from many types of roe from many different fish. The various types of black caviar, Beluga, Sterlet, Ossetra and Sevruga, come from the black sea basin from the various sturgeon species that live there. 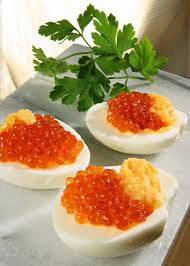 There are, however, many types of fish roe used for caviar production, such as salmon roe, lumpsucker roe, cod roe, whitefish roe, carpe roe and other roe from sturgeon species not of the black sea basin. Traditionally, black caviar and its high market value, which is mostly due to the early Iranian and Russian control of the market, has fueled the mythos of caviar’s hefty price tag. 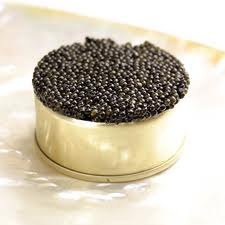 True, Russian and Iranian black caviar, and even some Italian fish roe, can be very expensive, however, there are many other caviars from many other places that are more affordable. And, don’t think that just because it’s cheaper it must be inferior, because caviar from various other fish and other countries can be just as good (if not better) as black caviar from the black sea basin. Golden caviar from the N. American great lakes region, for instance, is widely consumed while also enjoying a relatively low market price. Due the fact that most caviar enjoys little processing it retains most of its vitamins and minerals while also remaining low in calories. 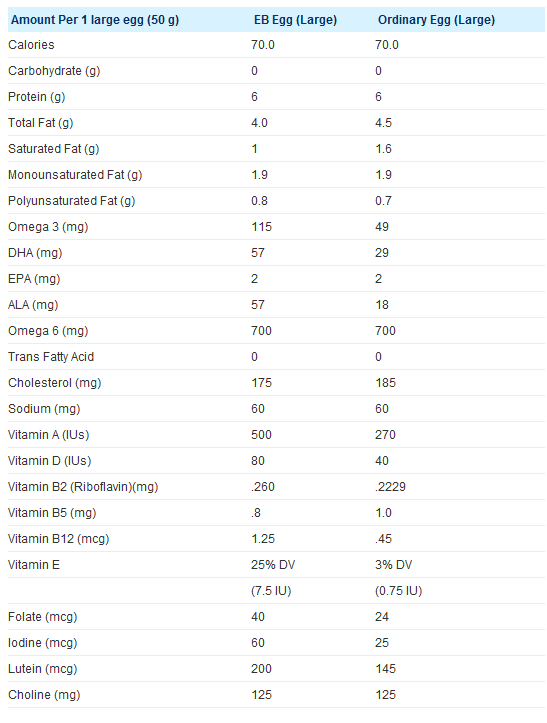 Many say, as well, that caviar is also healthy for your heart and skin because it’s full of omega-3 fatty acids. Though caviar can be healthy it is unhealthy to consume too much of it, as well as other fish, due to the trace amounts of mercury present in virtually all commercial fish products. It’s healthy. It’s affordable. It’s versatile. It’s delicious. What else is there to say? Caviar is the perfect non-fried appetizer so you won’t feel heavy and weighed-down after eating it. 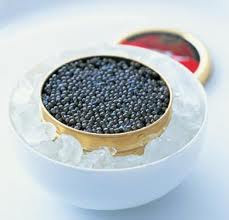 Caviar is also affordable so no matter what your budget you should be able to find fine caviar for your event. And, caviar is so versatile that you’ll be able to find the perfect kind for your hors d’oeuvres, whether it be Mediterranean, Russian or even Japanese-themed cuisine. There are also many new ideas for using caviar in various fusion dishes these days; it only takes a little research. For more info on caviar and it’s amazing character check out CaviarGalore.com! In July, 2007 the entire world was gripped in Potter-mania. Not only was the final book in the Harry Potter series, Harry Potter and the Deathly Hallows, due out, it was also the month the 5th movie, Harry Potter and the Order of the Phoenix was released. For any Potter fan it was pure Potter bliss. I was caught up in it as well; hard to miss with seven children and all the older ones being HP fans at that point. My editor at Disney Family.com and I were discussing it all in a phone call one afternoon and the idea to come up with my own versions of Harry Potter themed foods and post about them hit us. I was more than willing and as I have a habit of looking for food references in everything I read, I already had several ideas. I chose the usual suspects that everyone knows about and two others that weren't so well-known. Writing up the posts was very fun and something I didn't think I'd get the chance to do, so I threw myself into it and came up with several posts and recipes. Being asked to do something like that was truly a dream come true for a recipe developer. The posts, sadly, have had to be removed from Family.com for legal reasons, but I was given permission to share the recipes here. The first I'll share is the recipe for onion soup served by Molly Weasley in the middle of the night when Dumbledore drops Harry off at the Burrow in Harry Potter and the Half-Blood Prince. "She tapped the pot again; it rose into the air, flew toward Harry, and tipped over; Mrs.Weasley slid a bowl nearly beneath it just in lime to catch the stream of thick, steaming onion soup. "Bread, dear." "Thanks, Mrs. Weasley." She waved her wand over her shoulder; a loaf of bread and a knife soared gracefully onto the table; as the loaf sliced itself and the soup pot dropped back onto the stove, Mrs. Weasley sat down opposite him." English onion soup is not French onion soup, though it can be similar. It may be served with the typical crouton and melted cheese on top, or, as Molly Weasley likely did, without. I'm assuming this because directly after pouring Harry's soup, she offered him bread, and the thickness of the soup being mentioned also led me to believe it is more a creamy onion soup than the standard beef-stock-based type. I also drew from the fact that the Weasley's are quite poor. Most creamy English versions of onion soup contain an equal mixture of Stilton and cheddar cheeses. The Weasley's would most likely not be using the more expensive Stilton, so I made this recipe with cheddar only. They also had a large garden and would have had onions growing of various types. Try to use as many varieties as possible for the best flavor. Heat a large pot over medium-high heat and add a tablespoon or so of oil. Add onions and leeks and cook until wilted and just beginning to brown. Add garlic, stock and bay leaf. Simmer until onions are softened, about 30 minutes. Add half and half and thicken well with a *beurre manie. Stir in shredded cheese just until melted, remove bay leaf and serve. Season with salt and pepper once the soup is thickened to your liking. *Note- Beurre Manie is French for "kneaded butter". It consists of equal parts four to butter. Combine flour and butter and knead until well combined. Add a small amount at a time to a simmering liquid and whisk until smooth. Add more as needed. Harry Potter books and movie references are the intellectual property of J.K. Rowling and Warner Bros. I am not nor will be compensated in any way for this post. This was a happy accident I needed to share. Getting food ready for the playoffs this year, I had a few ingredients on-hand that I wanted to whip into something easy to serve. This dip was just the ticket. It was devoured faster than I thought it would be, and it will most certainly be on the menu for the Super Bowl this year (Go Steelers!). 1. In a small skillet combine chicken, water, cumin, garlic powder and salt. Bring to a boil and reduce heat to low. 2. Cook until chicken is easy to shred, about 45 minutes. If water cooks out, add more, a cup at a time. 3. Remove chicken from water and shred or chop fine. Reserve 1 cup of cooking water. If there is not enough, add water to make 1 cup. 4. Mix chicken with salsa, green chiles, cooking liquid and cheese. Cook over low heat until cheese is completely melted. 5. Serve with corn chips, keep warm or reheat as needed.